Valentine’s Day was over a week ago and it was a busy time. So busy that only now I find time to post what I created for that special occasion. 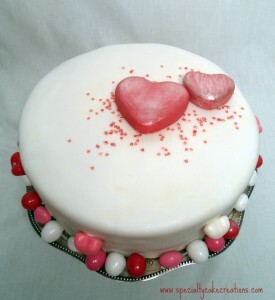 This Specialty Heart and Roses Cake was ordered by a returning customer from Germany. It was delivered to her Mom here in Kelowna as a Valentine’s present for family here. with raspberry cream cheese icing covered in red fondant. Along the sides there is a red scroll pattern piped with royal icing. 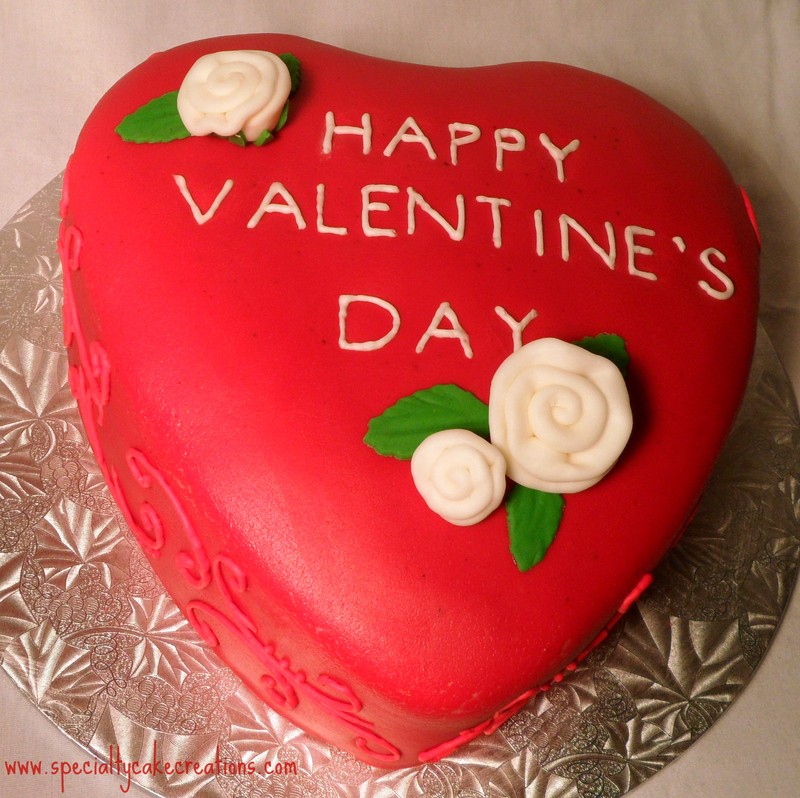 The top is decorated with white whimsical fondant roses. For friends and coworkers I baked these cupcakes and decorated them, fitting for the “heartiest” of all days, with heart-shaped candy and also heart-shaped glitter sprinkles . Flavors included hazelnut double chocolate cake with chocolate buttercream and raspberry cream cheese icing and red velvet with raspberry cream cheese icing. And finally for my husband I created this hazelnut chocolate cake with with chocolate buttercream. It is covered in white fondant with two red fondant hearts and heart-shaped glitter sprinkles on top. The hearts were brushed with ivory pearl dust . On the sides there are heart shaped candies attached and the border is made from candy as well. 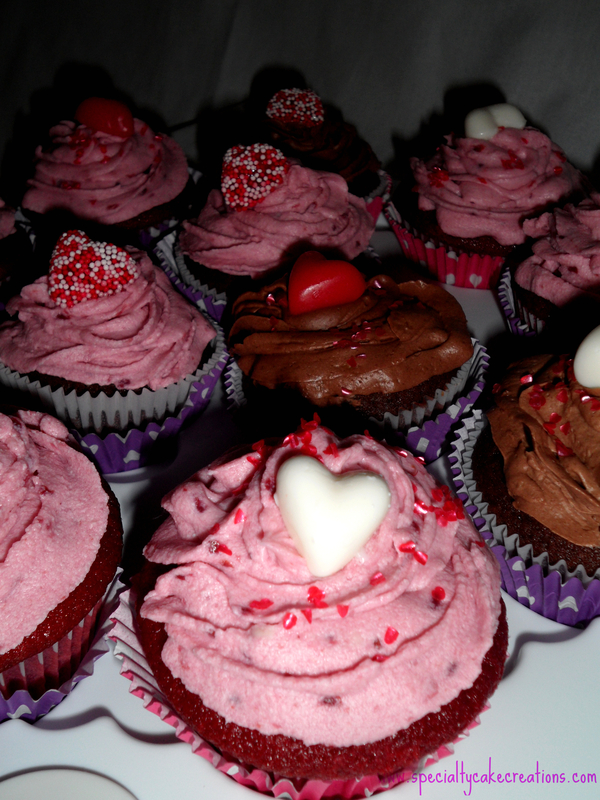 Below you can watch a little video I made about my Valentine’s Day baking.